8 Players on outside of maniquins, 3 with a ball. 1. 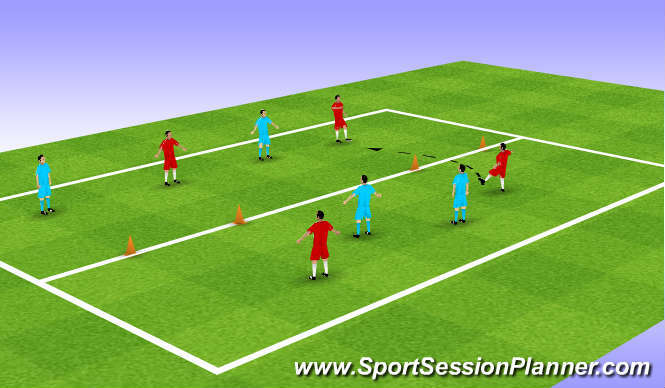 Take the ball into centre,do a trick in centre pass to outside player and follow pass and change. 2. As above, 1-2 set and change. 3. Hold, then overlap and back through and change. Ball played into reds one blue runs into area to try and win the ball after reds have done four passes they switch the play into blues who do the same with one red who runs in to blue area to defend. 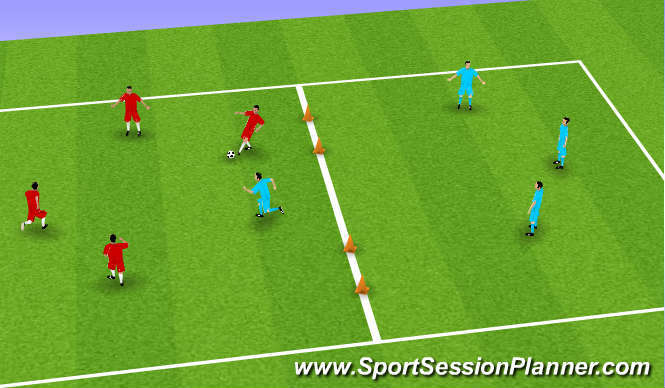 As screen two but players have to transfere the ball through the gates. If they can compleate four passes to play through thy are on five passes next. Firt team to 10 passes wins. Passing and linking through the gates equals one point first to ten wins. Type of pass, quality of pass, vision, movement. 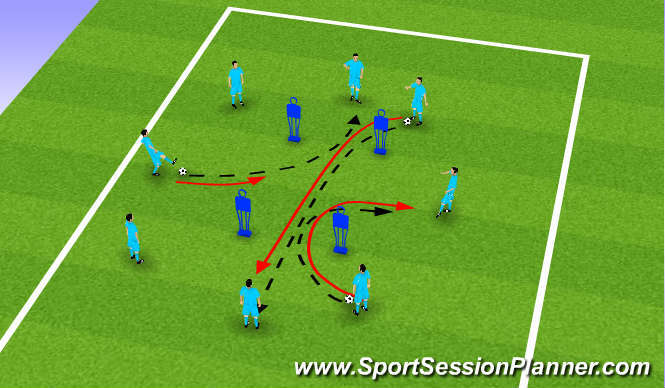 Create space and timing of runs to be able to play through from attacking mid to front 1/3. Communication in the practice allowed them to make better decisions. Players worked very hard in session.